Beyond the basics of answering calls, responding to text messages, and tracking your movement, the Apple Watch has other interesting features in its watchOS that can take your smartwatch experience to the next level. Use that wearable to take the perfect selfie or turn any photo into a watch face, among other useful diversions. It happens to all of us. You're running around the house getting ready when you discover you have no idea where you put your iPhone. Perhaps you can rely on the old "call yourself" method for retrieval if you have another phone, which certainly works, but your Apple Watch can make things a lot easier. Swipe up from the bottom of the screen to bring up the Control Center. On the screen is an image of an iPhone surrounded by parentheses. Tap that icon to cause your iPhone to ping, helping you discover exactly where it might be in your home (or pocket). Also on the Control Center screen of the Apple Watch is a Do Not Disturb icon that looks like a crescent moon. You may need to scroll down to find it, but it is oh so useful in meetings or when you're heading out on a date. While it's nice having all your notifications come to your wrist, when you're involved in a conversation with someone, whether in the office or on a date, you'd rather not have notifications and texts show up so that the person you're chatting with can see them. Do Not Disturb prevents everything from showing up for a while. Just remember to turn it off when you're alone again. You know Siri is there, but do you use her? One of the most useful things Siri is good for is setting alarms, especially when you're doing tasks such as cooking. Rather than setting a kitchen timer to tell you when your brownies will be done, ask Siri to let you know. We're all getting older. If you've reached a point where seeing the text on the Apple Watch is a bit difficult for you, you can customize the text size to make it easier to read. To do this, tap the Settings icon on your Apple Watch and select Brightness & Text Size. Tap Text Size and adjust the size to your preference. Using the timer for iPhone photos is great, but sometimes framing the shot beforehand doesn't deliver the results you want. With the camera app on the Apple Watch, you can use the watch as a remote viewfinder and see exactly what your camera sees. From there, you can have everyone move a little to the left or ask Bob take off that silly hat before snapping the shutter yourself or starting the timer remotely. It's a small thing, but it can make taking pictures that you're in much easier. If you're notoriously late to meetings or get-togethers, one thing you might not realize you can do with the Apple Watch is to convince yourself it's later than it is. Go into the Settings menu and select Time. From there, you can add a few minutes to the existing displayed time by moving the time forward a bit so you get moving a little faster. That five minutes of padding might not seem like a big deal, but once the clock is set forward, people who are always five minutes late start showing up right on time. 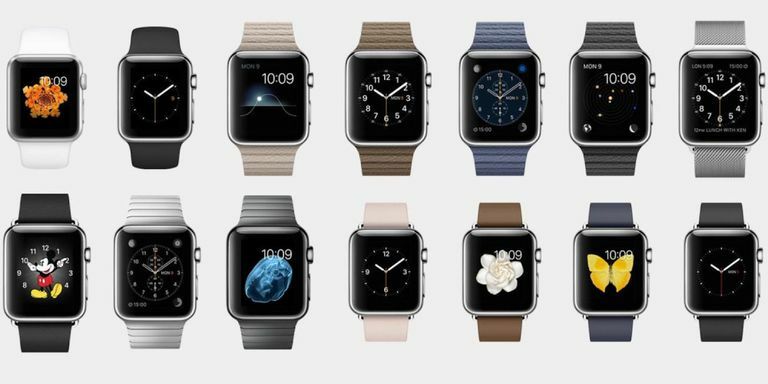 Not mesmerized by the Apple Watch's built-in wallpaper? You can make any image stored on your iPhone into a watch face. To make the magic happen, go to Photos and find the image you like in your library; favorite it by touching and highlighting the tiny heart at the bottom of the screen. On your Apple Watch, go to the watch face menu by pressing and holding on the screen, and scroll through the options until you see your photo and tap it. If you favorite several images, they form a rotating watch face that displays those images. You may be gung-ho about trying out new Apple Watch apps, but what about the ones that you install and then realize you don't use? You can remove apps from your Apple Watch in pretty much the same way you remove apps from your iPhone. To do it, press and hold on the unwanted app icon on the screen until the apps wiggle. A tiny X appears on the corner of any app icon you can delete from the watch. Tap on the X, and the app is hidden from your Apple Watch display, giving you a much tidier device. If you don't send a lot of canned responses, the text messaging feature on the Apple Watch probably isn't one you'll use a ton. However, one nice feature is the ability to add your own preset messages. To create your own custom messages, go into the Apple Watch app on your iPhone, tap Messages, and then tap Default Replies. From there, you can add whatever messages you tend to send often by tapping Add reply. They'll be accessible right from your wrist. This one doesn't work for long, but it can come in handy when you see a call coming through on your Apple Watch, and you don't want to answer it there but are also far away from your phone. When a call comes in, turn the digital crown. There you'll see an option to Answer on iPhone. When you select it, the caller hears a repeated sound, giving you time to grab your phone and answer. It can be a great way to buy yourself an extra few moments to find your phone or pull it off the charger and move to a more private spot for a chat.